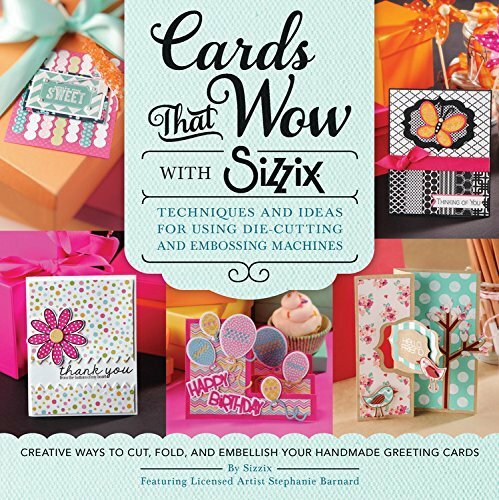 Quayside Publishing-Quarry Books: Cards That Wow With Sizzix. Find creative ways to cut, fold and embellish your handmade greeting cards for any occasion! This book contains techniques and ideas for using di-cutting and embossing machines. Author: Sizzix. Artist: Stephanie Barnard. Softcover; 144 pages. Published Year: 2015. ISBN 978-1-58923-884-8. Made in USA.